One of the hottest topics of discussion among writers remains whether to self-publish or to query literary agents who in turn pitch the manuscript to a publishing house. The discussion creates a number of political camps: some see value in indie publishing; some see it as a disservice to readers. There are those who see indie publishing—along with the digital revolution that brought it about—as a destabilizing threat to the industry and the livelihood of many. Some of the arguments made by the political camps in support of their positions are unconvincing because they lump all writers into one category. Blanket statements about the value of indie publishing won’t work to the extent they don’t acknowledge that there are different types of writers who are at different points in their careers. Here are three categories of writers that I’ve made up from the top of my head. Career Writers — These are the folks who devote time to developing their writing talent, study one or two genres and take time to learn everything they can about the publishing industry. Career writers make writing a habit and keep at it. The most important project to them is very often their next book. They know the market is fickle and that it favors a body of work. They understand that it’s not wise—and most likely a waste of time and resources—to attempt to write a best seller; to stake their career on one great book; or to invest in an expensive marketing campaign. Good writers — This category consists of those who have a facility with language and can convincingly express their ideas or have a knack for telling stories. They may be naturally gifted, self-taught or have training in professional or creative writing. None of this, however, easily translates into a compelling book that the market will receive with acclaim. Aspirational Writers — These are the folks who may, or may not, have sufficient talent to build a following. 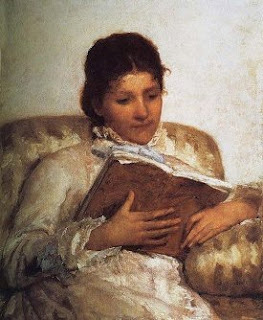 They often haven’t adopted a genre and may not be fully aware of the rules and conventions of the novel as an art form. Their primary motivation to write may be as a type of personal expression. I take issue with those who would silence the aspirational writers. There will always be low-quality books no matter how much we complain. There are easy strategies we can use to avoid them. You can carefully evaluate reviews, get personal recommendations or wait until an unknown book proves itself in the marketplace. You don’t have to be the canary that is subject to noxious fumes when forced to remain deep in a dubious mine. My Way or the Highway — Some believe that self-publishing is a bad way to start a writing career. I’ve never fully understood all the arguments. The confusion, again, seems to be the unstated assumption that there is only one type of writer. This political camp does its position a disservice by relying on fuzzy arguments that appear to be aimed at folks who think writing a novel is a relatively quick and easy way to wealth and fame. A well thought-out decision on whether a writer wants to pursue a traditional publishing contract should be based on her knowledge of the industry, what she aims to accomplish in publishing a book and the point where she happens to be in her career as a writer. Choosing Traditional Publishing — My guess is that most of the well-meaning advice we hear about “choosing” traditional publishing is directed at those who know very little or nothing about the publishing industry. To the cognoscenti, this is nothing but spurious tripe. The fact is that choice doesn’t exist; only celebrities can choose traditional publishing. On the other hand, I know a few career writers who self-publish and no amount of convincing (except the mid range of a six figure contract) will make them accept an offer from a traditional publisher. One outlier is Barry Eisler, who made the news because he turned down a half million dollar offer. Most first-time authors who go through the gauntlet—and end up selected for publication—are offered a $5,000 contract paid over three years. Many writers rightly calculate that signing away all the rights of their manuscript for such a meager offer isn’t worth it. They take into account that after the book’s initial run and market exposure of a few months, the book has a 98% probability of disappearing forever. Under most contracts, the publisher reserves the right not to publish and distribute the book. Sometimes they exercise that right without ever publishing your book! The author can complain in court, but really doesn’t have a strong case. The comeback is that she received $5,000 worth of consideration in exchange for the publisher’s purchase of the manuscript. Instead of going to court, you could contact your literary agent and politely suggest that the publisher overlook the contract terms so you can get the rights to your book back. After all, what’s the publisher got to lose? If your agent is returning your phone calls at this point, you may be in luck. Where are you in your career as a writer? I see myself as somewhere between a "Good Writer" and a "Career Writer". I feel I am more a GW than a CW. I think of indie-writers much the same as indie-bands. I have heard some great ones and I have heard some miserable ones. Just as I have read some horrible ones and some great ones. Getting signed to a huge publishing house or record label is not a guarantee the product produced is great. The converse is also true... Not being accepted to a big publishing house or label is not necessarily indicative of poor quality. Besides, you can get indie books for $3 or less. For that price, I have downloaded a lot of books. And I have not finished several because the quality was not there. But sometimes - Well, sometimes I find a great book by some person who writes for the simple joy of sharing a story. I'll gladly keep slogging through the bad ones to find the gems. I say buy all the indie stuff you can afford! Thanks for starting the conversation, Jay. I agree with you that some write for the joy of sharing a story. Jay I agree with you- there are good and bad to be found in all modes of publishing. Great band analogy. It seems to me like a bigger accomplishment as a writer and a reader to connect with a really good Indie - feels more like it's yours, just like that band you're listening to and love but hasn't caught on to the masses yet is your band- once they get famous and watered down to cater to the big crowds they lose something. I would love to be a GCW- I guess that's what many of us aim for. I have wanted to write since fifth grade but never had the confidence to do it outside of an academic setting. It's taken over 35 years of procrastination for me to finally give it a go. If I can make connections and express myself honestly in traditional publishing I will be pleasantly surprise. I am willing to go the indie route if it means I can develop and reach an audience- great topic Gary! Thanks for the excellent and much-needed post! I'm with Jay. I see myself as somewhere between a "Good Writer" and a "Career Writer". In the past 24 months, I've published five novels and one novella that I'd written during the last ten years. I'd done the traditional submission route, had two agents, and was sick and tired of the nonsense. My decision to self-publish was the best decision I ever made. Big Publishing had me convinced that I was a talent-challenged idiot. Putting my books on Kindle and Nook proved to me that there are thousands of readers who like my writing enough to pay for it and become return buyers. Another good post, Gary. I think I'm like Jay, somewhere between GW and CW. I have self-published one book, and it's been great fun. I've spoken at schools, and have it on Kindle, and it jump-started me into blogging and doing FB and Twitter. All of that said, it's a lot of work to be your own publisher. I still would like to get commercially published and let editors and agents work out a lot of that stuff so I can keep working on my next book, and my next, and my next. I'm not out to make a lot of money; I just want kids to read my books while I happily work on the next one. On the other hand, I know a lot of people really like all the PR work. So I agree with you, that there is no ONE kind of writer. The beauty of digital publishing is that now there is room for everybody. Hi Gary - 'liked your post. You address aspiring writers in a paragraph, and I assume CWs have the option of traditional or indy publishing (or the best chance at having said options :). I am curious as to your thoughts regarding the GW (which happens to be what I consider myself :)? Gary, I thought I'd was following the other blog you contribute to, but I guess not. Please, what is it? It's the on on meeting goals. I tried to join or follow you, but my email is not acceptable and I don't use fb much. I am interested in the publishing house you are with. Would you give me the address for that too? Gary, I like that you've offered definitions for different writer "types." I imagine most writers you get on the site quickly see themselves in one category. That's great, and if they don't yet find that they're in the Career Writer category, your definition (pretty well nailing it) is either a nice nudge or a wake-up call. The fact is, if any writer is not always trying to learn more about story technique, using various characterization modes (or inventing new ones — good ones), or using a different technique for each novel, then that writer is likely only and ever-shall-be an aspirational writer. Not that that is bad, but it isn't and never shall be the best writing available. Cast me as a GC Tweenie. I’d love to be a career writer --my goal. Like Patty, I’ve wanted to write since I was a child, but in the 1st grade a substitute teacher gave me an F on my very first story (bad punctuation, poor spelling, and no mention of content. Catholic school.) My dreams were crushed for a very long time and it will take a lot more than worrying about the type of publishing format my book will take before I let that happen again. I think traditional and electronic publishing are similar to when the car was first introduced last century. People swore by horses and they proved superior to the automobile until the kinks were finally worked out. But look, people still own horses today. Granted, not even a drop in a bucket compared to those who own cars –yet something magical happens when we hear about ancient dead sea scrolls being discovered and see the yellow parchment unraveled to reveal long held secrets. I think that whatever works for a person, whatever camp they feel more comfortable in, they should go for it. For me, following my gut instinct is what will determine what camp I end up in –and I believe in the best of both worlds. 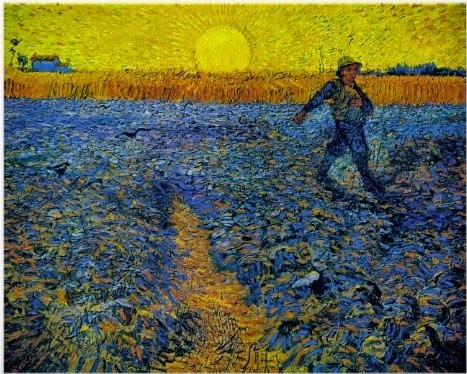 Thank you, Gary, for this great article, for the Twitter connection, and for reminding us that nothing is in black or white –thank heaven for glorious color! We'd love to hear from you. Don't be shy.